Home / News / SAP Bong Go-to-his-controverial-relief-goods: "So what, it’s from private foundations, how about you critics start helping for a change..."
SAP Bong Go-to-his-controverial-relief-goods: "So what, it’s from private foundations, how about you critics start helping for a change..."
Special Assistant to the President Secretary Christopher “Bong” Go segwayed an important issue during a press conference in order to clarify the viral image of relief goods with shoe boxes that have “Ready, set, GO!” on it to be that of a friend’s private institution and foundation. He started with stating the facts, that both he and President Rodrigo Roa Duterte are men who do not flaunt their names on the projects that they do, even back when the President was still a candidate. He then recalled that he rushed to the scene of a recently burned place in the wee hours of the morning at Legarda Street, Sampaloc, Manila. There he promised people to return with relief goods in the afternoon so that they can survive the tragedy. This apparently was the source of the viral image that was spreading on social media. He clarified that his friends own private institutions and that they are more than greatful to help people in need. 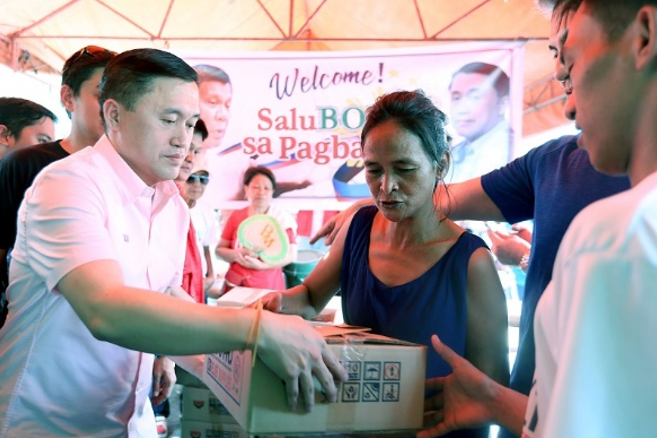 This is the power of connections that Bong Go possess and apparently is also the same power that people are making a fuss about since they claim that he is using it as free political endorsement. Yet despite facing controversy, Bong Go stoodfast with the accusations since the situation isn’t what it appears to be. 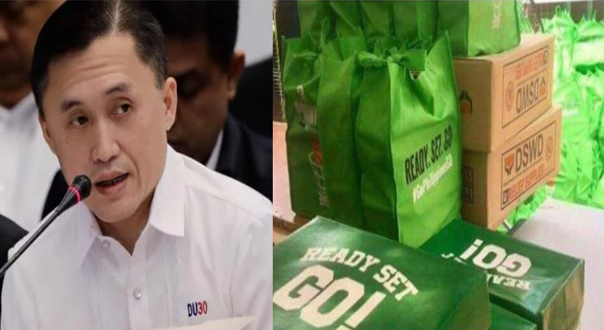 All those private institution donated green shoe boxes with his free political endorsement got caught with the relief goods from the government. 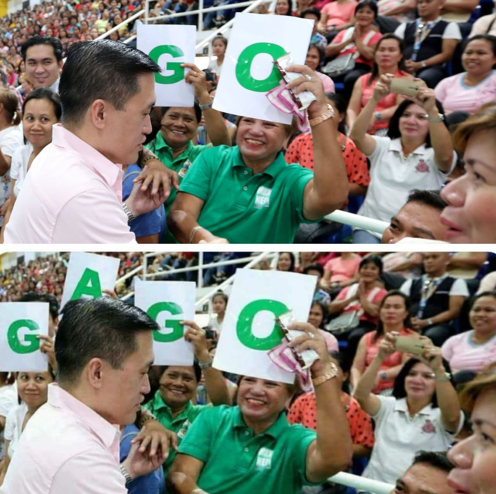 And with the right caption and angle, it appeared Bong Go was immediately vilified. 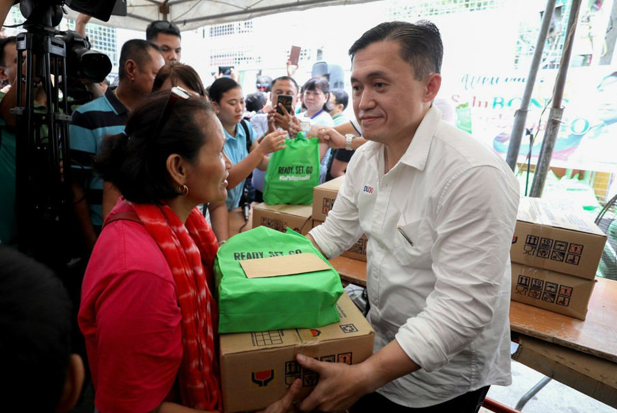 “Hindi maiwasan na nilagay yung relief packs ng DOH at DSWD dun sa mga nagdonate na sapatos at grocery packs na galing sa Foundation,” he clarified. “Hindi ito galing sa gobyerno, hindi po ito pera ng gobyerno ang mga box na green. Nagkataon lang na nakapatong,” he added. Then asked the critics on why they’re doing nothing to help others. “Sa mga kritiko po namin ng Pangulo... bakit di nilang kayo tumulong?” Go said. All the man asks for is for the critics to put their words into actions. If you hate Duterte’s govenment so much then why won’t they make a change through actual actions? Maybe because it takes real dedication to help someone while it takes only a mood swing to state negativity towards the government.